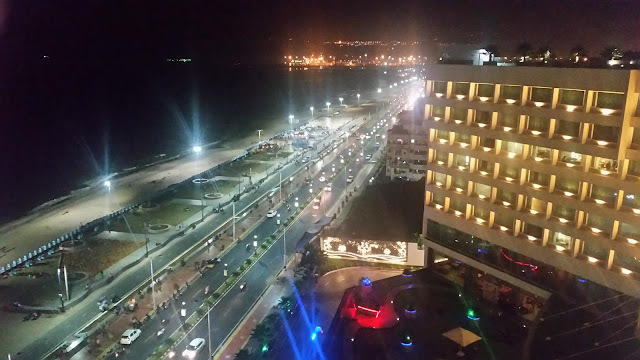 Over the last few years, the restaurant is on an expansion spree setting up more branches in Hyderabad and Bangalore, and moving into Chennai and Visakhapatnam. On the product front too, the restaurant has expanded its range. After a very successful kabab promotion, the restaurant has now introduced Zafrani Biryani, a new biryani on the menu which is different from their usual fare. I have been a regular customer of the restaurant over the last two decades, stemming from the time when I used to have their biryani three times a week (my office then was a two minutes’ walk from the restaurant). But over the last few years I had felt that the experience was not so good, especially when I used to take away the biryani from their counters. Sometimes, the biryani had white rice and little masala, sometimes it was over spicy and masala laden. During a discussion with the Paradise management on this, they said that they are aware of the perception. To enjoy a good biryani, it is not just important that it is cooked well, it is also a must that it is served the right way. To facilitate this they have designed a table mat (graphic below), where they are encouraging the guests to customize the biryani as per their taste. This will help the restaurant management to provide a better experience for the diners. Coming back to the reason of my visit, it was to try out the new Zafrani Biryani that they are showcasing in February and March. This a dish, the recipe for which has been picked up from the royal kitchens. 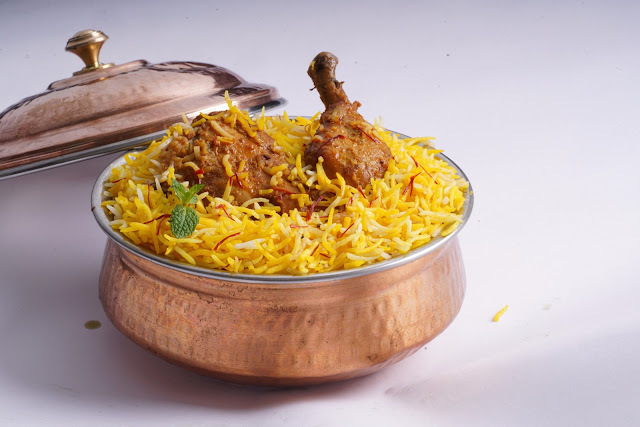 Saffron, an expensive ingredient, is the highlight of this biryani recipe adding aroma, colour and taste to the dish. Lesser known is the fact that Saffron is also an herb having significant medicinal properties. 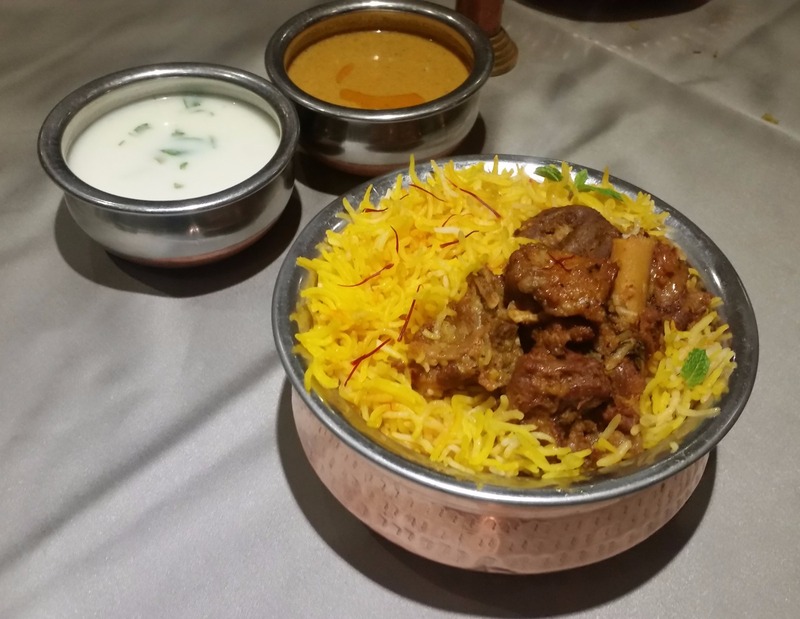 The biryani is available in two variants – mutton and chicken. We were served tasting portion of both dishes. On the first serving, the aroma of saffron was slightly overpowering, and the masala component in the dish was lower. This variant of the Hyderabadi biryani will be especially loved by the biryani lovers of Northern or Eastern India, who like their biryani to be more flavourful. The Hyderabadi in me however craves for masala, so I asked for a moister version of the rice, scooped up from the lower portions of the degh. Here I loved the taste more, though the flip side is that with more masala the saffron flavour gets kind of camouflaged. The quality of rice, chicken and meat were good as usual, in line with the high standards of sourcing Paradise is known for. 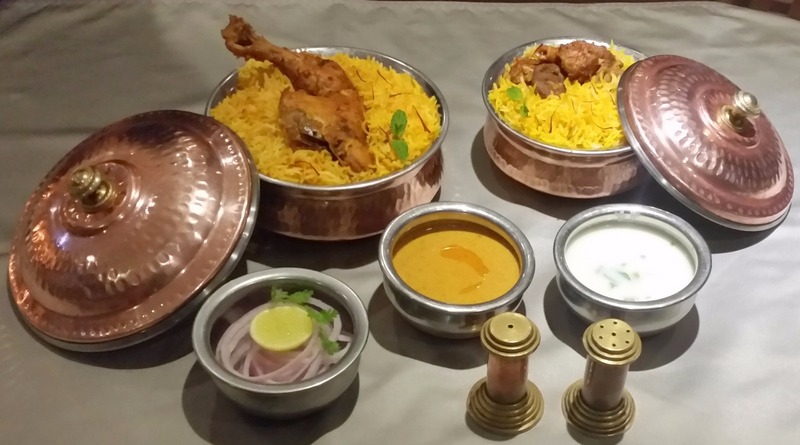 We were told by Corporate Chef Vijay Bakshi of Paradise that Hyderabadi biryani has more than two dozen variants, and Paradise intends to showcase a few over the next few months. 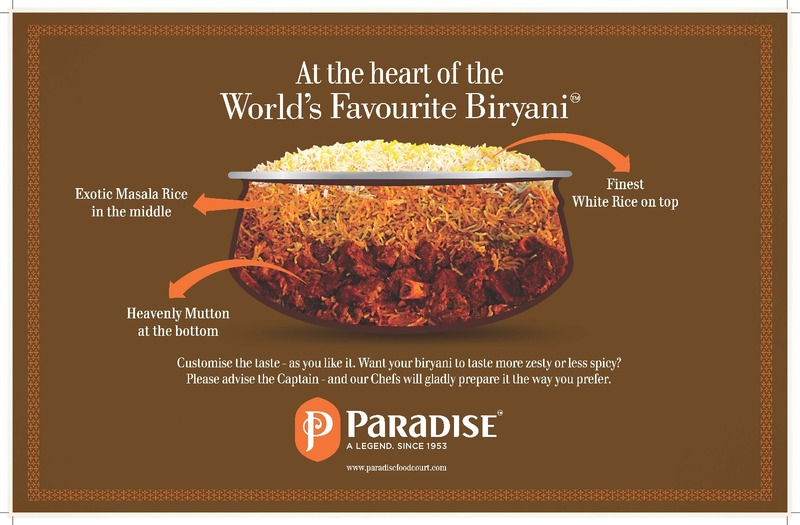 While, I would not recommend this for people who like a lot of spices in their biryani, people with open minds should definitely try this biryani. For example it will be perfect for people who love their fare to be aromatic, and believe in the Sanskrit phrase “Grahnena Ardhabhojanam” (The aroma is half the eating experience). While it should appeal to people who have a preference towards the mild and flavourly Awadhi or Kolkata variety of biryani, it is also a demonstration that some recipes of Hyderabadi biryani are truly aromatic. 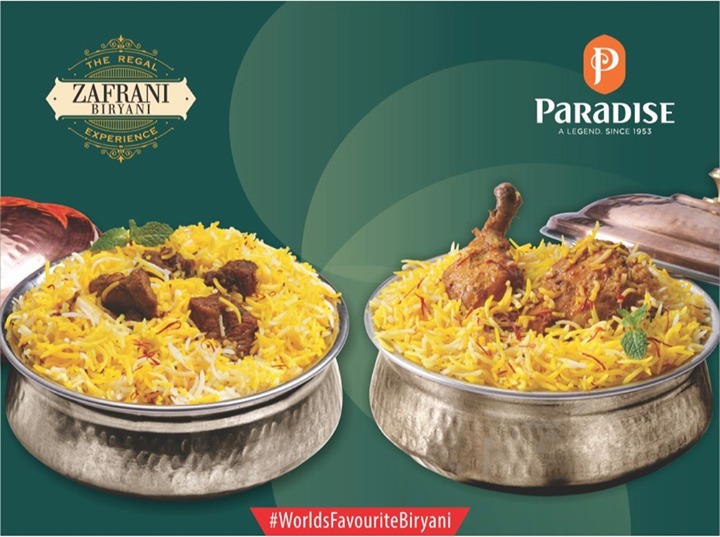 The biryani is priced about Rs 40 more than its usual counterparts (Rs 285 for Chicken Biryani and Rs 295 for mutton version at the dine-in). The festival is on at all Paradise restaurants in all cities, as well as takeaways and home deliveries. As stated above, please care to customize your dish for a better experience.